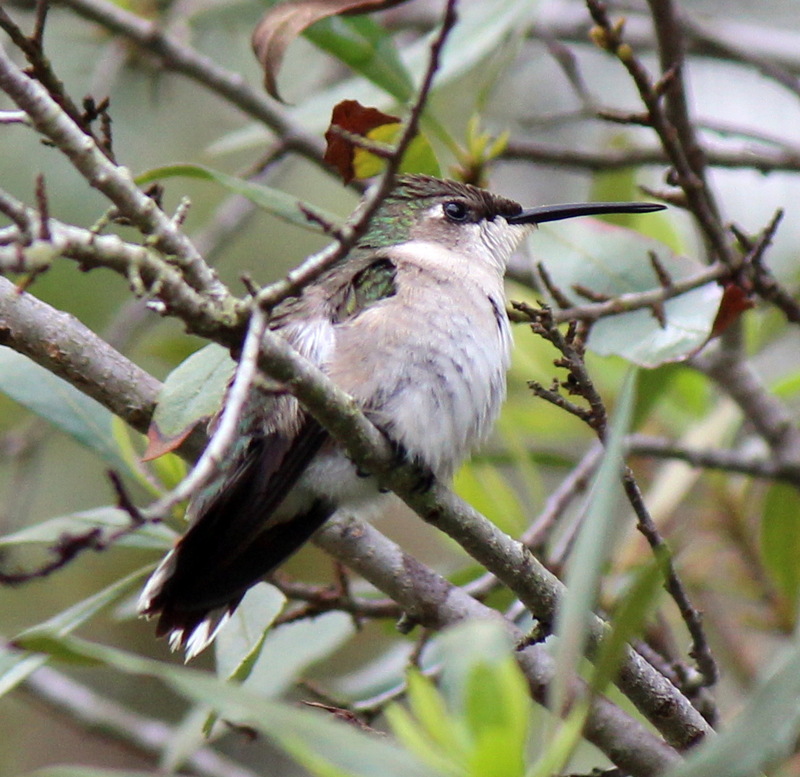 Female Ruby-throated Hummingbird, sampling Coral Honeysuckle on a rainy day. It must be hard to hover with wet wings. 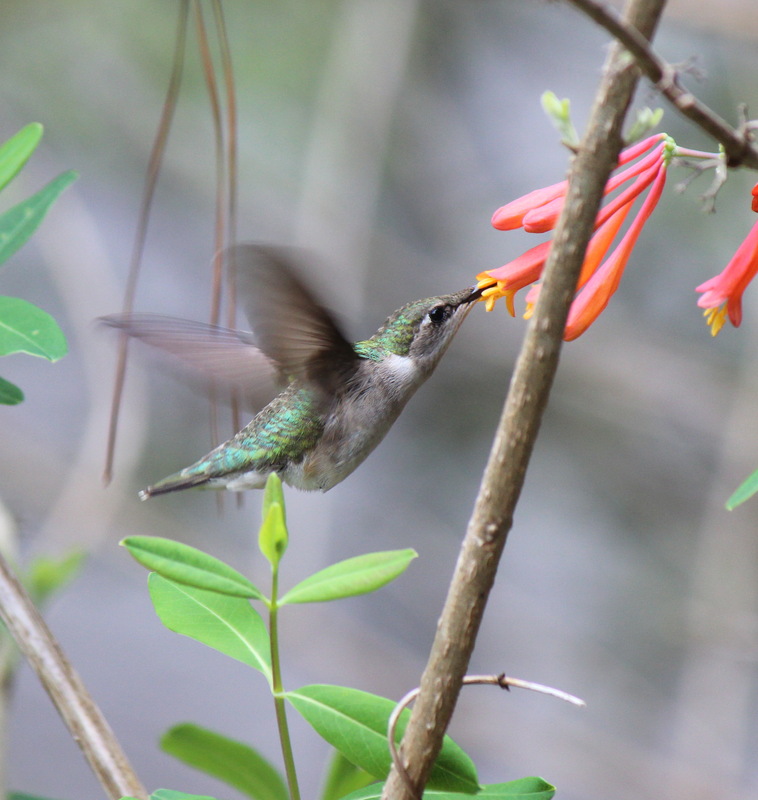 Coral honeysuckle, Lonicera sempervirens is finishing its first round of bloom, and the Painted Buntings and Ruby-throated Hummingbirds have arrived. One recent rainy afternoon, we watched this individual alternately sample the flowers, then retreat to the Wax myrtle, Morella cerifera, to fluff and dry off. Although we’ve been hearing them for a couple of weeks now, today the Painted buntings appeared at the back yard feeder, within 10 minutes of putting out some millet. The feeder has been empty for at least a month. Hmmm. thank you very much . 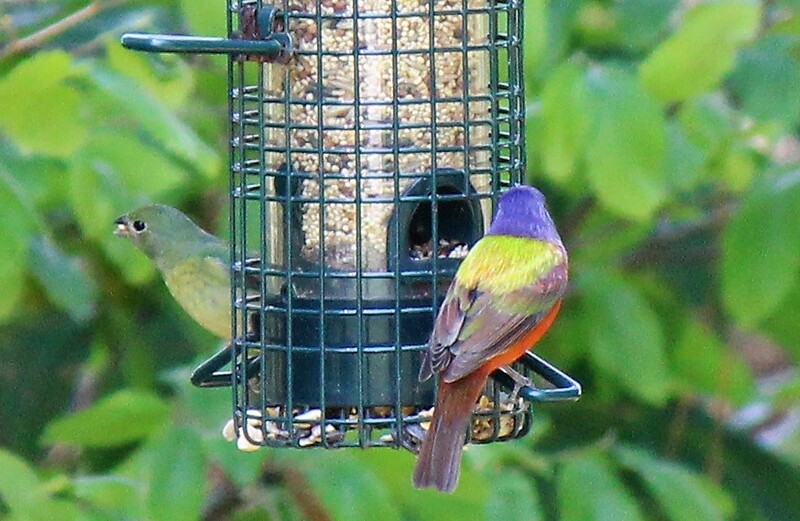 Painted buntings.